Lovetech is the service team in Harvey Norman’s technology department. Whether it is help with setting up your new device, a product demonstration or a full hardware repair, our expert technicians are on hand to provide support. Every store has a dedicated Lovetech team, so getting you back up and running has never been easier. Lovetech is the name of the services department for the Harvey Norman computer division. 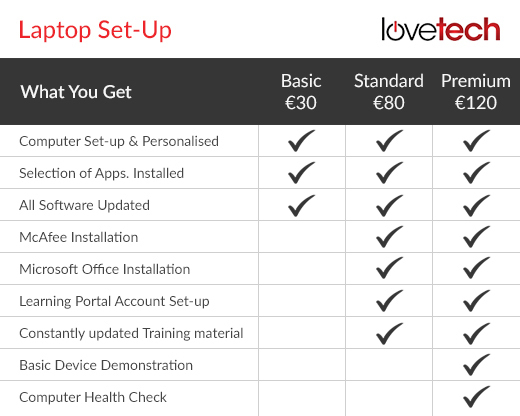 Whether its help with the set-up or it’s a full hardware repair that you need, Lovetech has the solution. With dedicated Lovetech technicians in all stores nationwide, getting you back up and running has never been easier! Gone are the days when you could turn on your new device for the first time and it would be ready for use out of the box! Regardless of whether you have a Windows or Apple system, no one wants to spend their time creating accounts and installing software. So let us do it for you! Tablets are a blank canvas, ready for you to personalise however you want to. But when you turn on your tablet for the first time, don’t be shocked at how little there is pre-installed – ask today about our tablet setup service. Store Account created e.g. App Store. The first step in getting your new console up and running is generally to download a ‘firmware update’. In some cases the console cannot be used until this is done. Let us take the hassle away so that when you collect your console, it’s ready for you to enjoy! Please Note: Games not included. Initial firmware update downloaded and installed. Console set up and ready to use. trackers provide detailed information about your performance but only when they are set up accurately. Lovetech are here to make tracking your progress as convenient as possible. Your fitness tracker account created. All tracker parameters set up and configured. Fitness tracker paired to your account/mobile device. Cameras have moved on from regular point and shoot models! Some even have WiFi functionality. If you want to start taking amazing pictures straight away, let Lovetech get you to that stage. Please Note: SD/Micro SD card not included. SD or microSD card formatted and installed. Camera configured and ready for use. Our Lovetech technicians install hundreds of software packages such as Microsoft Office and McAfee antivirus every day, so why not leave it to the experts. Remember; we will happily install anything once you can provide the software. Please Note: Software not included. Software configured and ready for use. Buying a new computer? Is all your important data on your old device? Worried about migrating all your files and photos? Let us help! With Lovetech, all of your important files can be transferred by experienced professionals. Your data safely transferred and accessible on your new device. Peace of mind that your data is secure. Instant access to your important files and documentation. It is recommended that when the device is turned on first, a system back up known as ‘recovery media’ up is created. Should your system fail at a later date, you’ve got a backup. Let our Lovetech teams give you that extra peace of mind. Back up of your ‘factory settings’. Safeguarded from potential software issues. Noticed your computer is not running as fast as it used to? 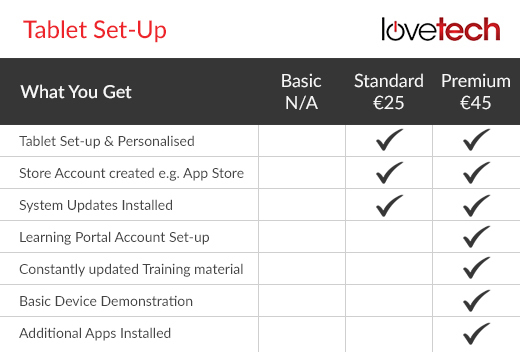 Our Lovetech teams can help you get the most from your device. Following a quick assessment, we can make the necessary tweaks to boost performance. Please Note: For faults or hardware issues, our teams can advise on the required service following assessment. See Inspection Fee. Device fully optimised and performing to specification. Performance of your device is improved. Can you no longer access your files? Is your device no longer working meaning you have no access to your precious photos and music or important work documents? Fear not, our Lovetech teams are equipped with data recovery tools to help rescue those lost files. We have also partnered up with a data recovery specialist in order to offer you the highest level of data recovery support. So even if your drive is damaged or your files have been deleted, ask our Lovetech teams how exactly we can help. All your data safely and securely retrieved from a faulty device. Your data backed up to a disk or device of your choosing. Hassle free access to all your original files. Even though your device may not turn on or may now be really slow, it still may hold your personal data. Before selling or disposing of an old computer, let our Lovetech teams securely remove all traces of your data from it first. Don’t run the risk of having your data stolen. Your data securely erased from any storage device or disks. Professional handling of your personal data. Optional device or hard drive disposal service available. In many cases, carrying out a ‘recovery’ on your device, commonly known as a factory reset can resolve your issue. Your data will be completely removed in the process so speak to our Lovetech teams about how we can help with a data back-up. Device returned to default settings. Reinstallation of fresh operating system. Device performing as it should. Just like a car or any other mechanical device, your computer will need regular maintenance to ensure it performs optimally. Our comprehensive diagnostic service will identify any problems before they manifest into bigger issues at a time when you need it least. All hardware fully checked and tested. All malicious software or other software issues identified. Full system diagnostics and status report. Changing your inks? Noticing a drop in the quality of your prints? Our Lovetech teams can clean your print heads, nozzles and recalibrate your printer to not only improve your printers’ efficiency but also give you the best possible print results. Print heads aligned and cleaned. Printer calibrated for optimum performance. Are you noticing ads popping up on your browser or is your device running noticeably slower than normal? A virus or malware could be the cause and could lead to further problems. If you are in any way suspicious, ask a member of the Lovetech team for your options. Malicious software and bloatware identified and removed. Browsers cleared of pop up ads. All threats removed and device safe to use. Device performance and speed boosted. The more RAM your computer has, the easier it completes more and more tasks. Upgrading your RAM can be a very cost effective means to boosting the performance of your device. RAM upgrades are generally completed in 30 minutes. So don’t let multitasking slow your device down, call ahead to make sure we have the RAM you need in stock. With applications taking up more space than ever before, you may need more storage than you originally thought. So whether your original hard drive has failed, you want more storage space or you just want to upgrade to SSD to boost performance, our Lovetech teams can help. Decreased risk of data loss due to no moving parts. SSDs are available from as little as €89. 12 month warranty on hard drive or SSD. Optimised system for optimal performance. If your device is outside its warranty period, simply visit the Lovetech service desk in any of our stores. If the issue can be resolved there, the Lovetech technician will provide you with options. If the issue is hardware based, a diagnosis fee of €30 is paid (this fee is deducted from the repair quote if accepted). Our certified technicians at our Lovetech service centre will then examine your device, and your quote will be generated within two working days. Harvey Norman is an Apple Authorised Service Provider. The Apple certified technicians in our Dublin repair centre are equipped with a full suite of Apple diagnostic software and tools. With 12 drop-off locations around the country, getting you back up and running has never been easier. Simply drop your Mac, iOS or Beats product to the Lovetech helpdesk in any drop-off location. We’ll do the rest! Apple award a Premium status to service providers that have excelled at offering customers an exceptional standard of service. This prestigious status is highly sought after with only a select number of service providers ever achieving the status. Premium Service Provider status is your way of knowing that when you get service from Harvey Norman, you are getting the best possible service in the country. 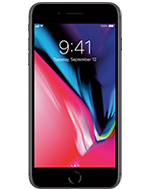 If the fault you are experiencing is covered by any form of Apple warranty, we will carry out whatever work is required completely free of charge. If your device was purchased anywhere outside Harvey Norman, in some cases you may need to provide a valid proof of purchase to claim warranty coverage. For diagnosis and initial inspection there is a €69 charge. Once diagnosis is complete, a repair price will be generated. Should you decline this quote, the €69 fee will stand and the device will be returned unrepaired. If you decide to proceed, the €69 is not charged. 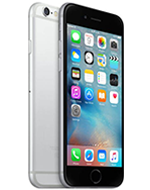 This pricing is the lowest pricing available for genuine Apple batteries fitted by Apple certified technicians. 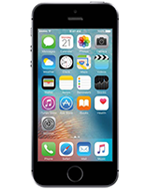 Battery Replacement Program pricing applies in cases where the device has suffered no damage. 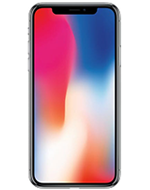 If the iPhone has been damaged or modified, impairing the replacement of the battery, the damage/modification in question must be resolved prior to the battery replacement. Presence of a third party parts. Our Apple certified technicians will be on hand to offer advice on any issues that may make it difficult for us to replace the battery. Turnaround time may vary depending on battery stock availability. Where the battery is in stock, our certified technicians complete the service within 24 hours. Same day turnaround is also possible, however, we advise that you request an appointment with our team in advance to facilitate this. Should your battery not be in stock, we can still help. Our Apple certified technicians can advise on the exact turnaround time following an initial inspection. In most cases this is 1-3 working days. 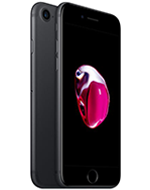 Apple has determined that a very small number of iPhone 6s devices may unexpectedly shut down. This is not a safety issue and only affects devices within a limited serial number range that were manufactured between September and October 2015. Should your device be eligible for the repair extension program, there is no charge for the service regardless of whether or not your iPhone is covered by warranty. To find out if your iPhone may be eligible for free service under this program, please speak to any of our Apple certified technicians today. 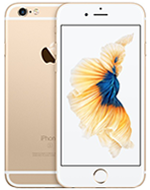 Check if your iPhone 6s is eligible here. Please Note: Your iPhone must comply with the same criteria for warranty coverage to avail of the repair extension coverage. 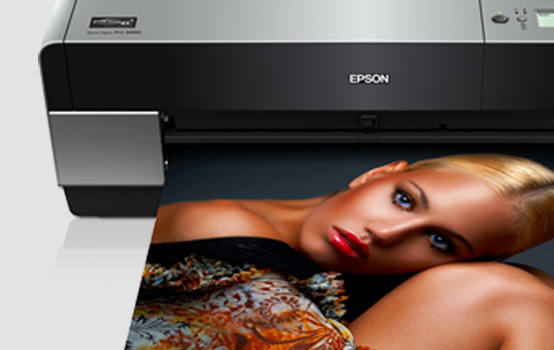 Epson Express Centres are authorised repair centres offering service on the full range of the latest Epson products. There are 20 Express Centres nationwide and Harvey Norman makes up over half of these centres. If you are experiencing a problem simply pop in to your nearest Harvey Norman store. 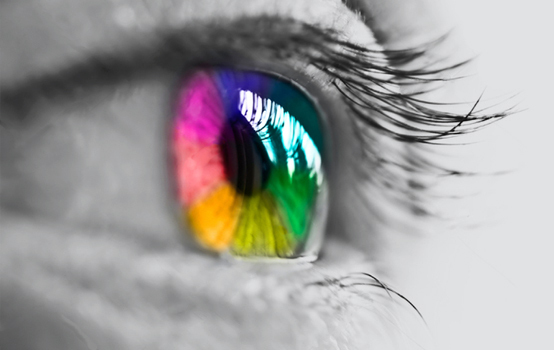 All we will need is your printer, cartridges and your proof of purchase or warranty details. To save you time before you bring your device in to us, why not call ahead with your serial number? We may be able to help you over the phone. If possible, your existing product will be repaired under the terms of your warranty. If your product is no longer under warranty the Express Centre may be able to quote for an out of warranty repair. If we are unable to fix the problem, a permanent replacement product will be provided.